A lot of men these days have never even seen a straight razor in-person, unless it was in a barber’s hands. It takes a great deal of trust to let someone fly around your throat with a wickedly sharp real blade. It builds a lot of confidence to learn how to do it yourself, and survive. There is a certain mystique associated with a straight razor shave. It takes us back to a more romantic time, when men could be real men, and the world made more sense. I know, every middle-age and older man says the same thing, probably all the way back before the Mesopotamians. As soon as language was invented, I can see a bunch of Cro-Magnon men sitting around the fire and talking about how much better the old days were, and how much they miss having to go out and whack a mammoth for supper. Some things never change…. Be that as it may, few will disagree that shaving with a straight razor makes a statement, even if only to yourself. There has been a significant increase in interest for straight razors in the last few years. It could be a secret longing for the Good Old Days, or maybe just curiosity. There are lots of new websites and online stores dedicated to the art of classic shaving. You can find wonderful antique razors from master bladesmiths like Dovo, and Double-Duck, along with classic and nostalgic accessories like Bay Rum aftershave, buffalo-hide strops, and much more. Now is a great time to explore the wonderful world of straight razor shaving. Why Shave With A Straight Razor? Straight razors require a lot of maintenance and TLC. They can be dangerous if proper care is not taken. And shaving with them is time-consuming, with a significant learning curve. Modern safety razors are, as the name implies, safer, faster, and more convenient. They are much less expensive, initially, until you start having to buy replacement blades for them. In 1901, when King Gillette came out with a new version of throw-away blades to replace the costly Durham Duplex safety blades, they were relatively inexpensive. This changed in 1971 when Gillette invented multiple blade units, and since then, as the number increased from 2, to ridiculous 5-7 blade models, so has the price. Any time now, someone will come out with a 15-blade monster that will rip the hide right off of your face, and set you back $50.00 or more for new sets. Besides being expensive to use, multiple-blade razors are very hard on the face, causing friction burns, ingrown hairs, rashes, and more. So now, they can get even more of your money by selling you pre-shave and after-shave balms to repair the damage. That $50.00 Wade and Butcher straight beauty you saw in the antique shop looks a little better now, huh? Another alternative reared its head in 1928, when a retired U.S. Army Colonel named Jacob Schick invented the first successful electric razor. Badgers everywhere rejoiced because it was no longer necessary to use shaving soap and a badger brush to get a clean shave…sort of. Electric razors can be expensive, and still require periodic blade replacements. Electric razor blade sets are expensive. And, while electric shavers have gotten better over the years, they still do not shave anywhere near as close as even a single-blade safety razor. It’s gotten so crazy that now, many electric shavers allow you to shave ‘wet’ with shaving cream. So, tell me again. why you need the electric razor????? A lot of men are OK with the less than great shave, and electric shavers are good for a quick touch-up buzz as you head out the door. But they pale in comparison to a real shave with a real blade, or even when pitted against a modern safety razor. A straight razor can seem like a big investment at first, but you have to consider than a good straight razor will last generations if taken care of. I still shave with my grandfathers 1913 Genco, and it still shaves better than any modern blade you care to pit against it. My newest straight razor is my 1934 Dovo Goldedge I picked up from an antique shop, and it shaves silky smooth every time, in addition to being a work of art. 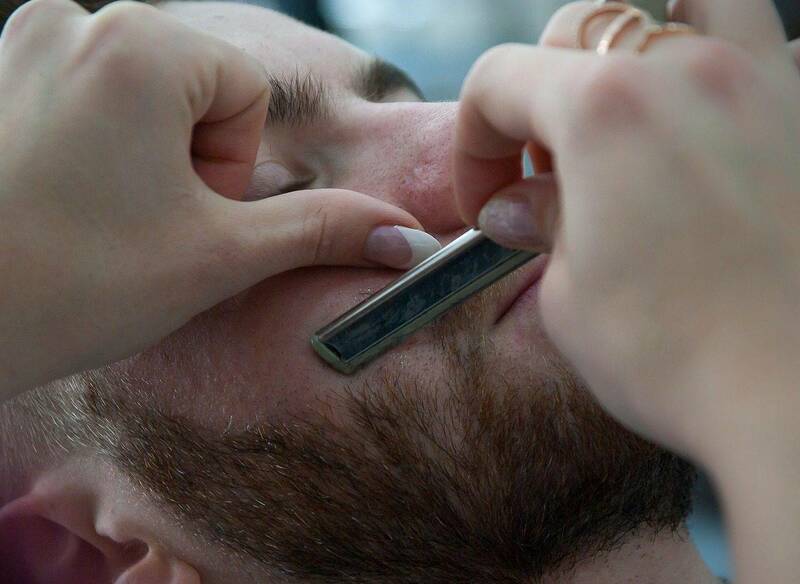 Once you get a straight razor, you’re done buying expensive disposable blades. Your grandson may be shaving with it 100 years from now. out looking too bad. The discipline required to master the straight razor is almost like meditation. Sometimes, except for waking up next to the Mrs., shaving is the best part of the day. It is my ‘Me’ time. 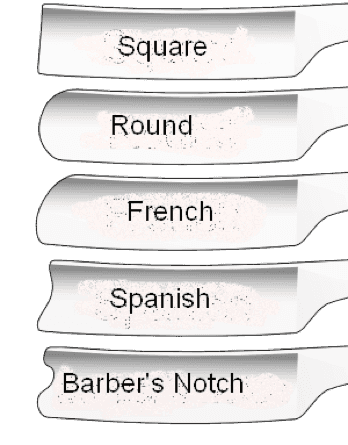 What are the Parts of a Straight Razor? Parts of a straight razor. 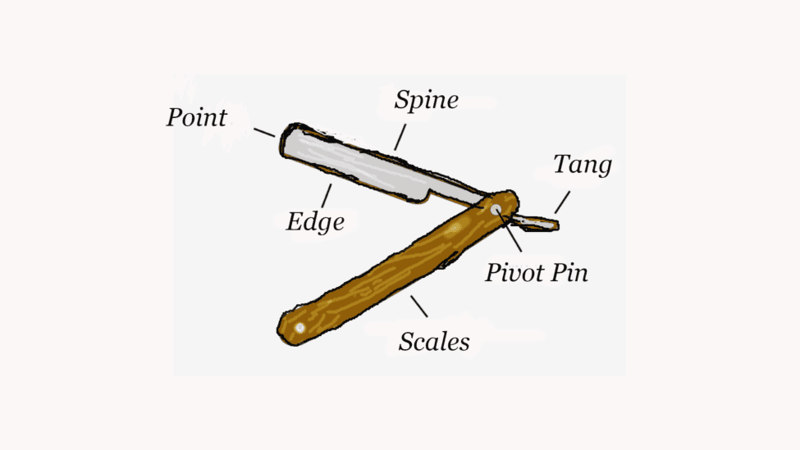 Spine – The back of the blade.It is thicker than the edge, It gives support to the edge, and some heft to the razor. Tang – Serves as a finger-rest, and a safe way to pivot the blade in and out of the scales. Pivot Pin – Holds the blade in the scales and allows it to pivot open and closed. There is a similar pin at the opposite end of the scales that simply holds the two halves of the scales together. Scales – The handle, and the prettiest part of the razor. They can be made of Bakelight (plastic), horn, bone, ivory, wood, and even more exotic materials. Edge – The working part of the razor, and the part you hone. It can be many different grinds, but Hollow Ground is the most common. This is the part that cuts. Point – The end of the blade. The shape can determine how clean and straight your shaving stroke will be. There are 5 points you can pick from, each with its own advantages and disadvantages. 5 different types of razors to choose from. Square – Common on a lot of European razors. It lets you cut with a clean edge, such as next to sideburns, or shaping a Van Dyke beard. The sharp corner can cause cuts if care is not taken. Round – Great for shaving large areas, or the whole face. Does not allow for a lot of detail work, but is easier to use without cutting yourself with a point. Good choice for beginning shavers. French – A hybrid between the Square and Round points, with all the advantages, and disadvantages of both. Commonly seen on Japanese Feather razors. Good choice for beginners. Spanish – Slightly concave, but still has a sharp corner. Makes good straight edges, and is a little easier to get under your nose, and around ears without getting cut. Barber’s Notch – Not very common. Lack of a sharp corner makes it safer around the nose and ears, and the notch makes it a bit easier to get into tight or difficult places and angles. What’s the best Size for a Straight Razor? The size of your razor is another area that is mostly up to personal preference. All straight razors are about the same length, so that’s not really an issue. All scales are pretty close to the same size and shape, so all you have to decide is what you want them made from. Even the blade lengths are all about 2-1/2″ long. So all you have to worry about is the width. This is also mostly a matter of preference. A wide blade does not necessarily shave any better than a thin one, but it may strop a little easier for you. Others may find a thinner blade easier to strop. Stropping styles are also unique, and are a subject for a future article. as the 5/8, holds more lather, so you don’t have to wipe or rinse the blade as often. It is also heavier and has a comfortable heft to it. Collecting and restoring antique razors is a wonderful hobby, but probably one best left to more experienced straight razor shavers. 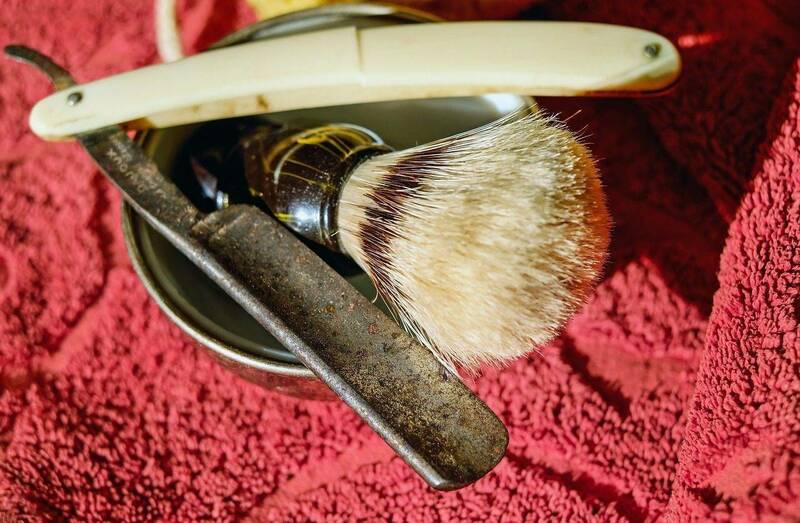 Beginners will have plenty to learn without having to research old razors, and learning how to restore them. Over the years, there have been millions of cheap, junk razors, some even made by otherwise reputable knife-makers, flooding the market. They come from China, Pakistan, and who knows where, and are all over places like EBay, Etsy, etc… You’ll also see them in a lot of antique shops. They have cheap steel, and will not hold a good edge. Even those made by some famous knife companies should be avoided, with a few exceptions. A razor is not a knife, and has a whole different set of requirements. The exceptions are: Case and Sons, Puma, and Boker. These knife companies make outstanding razors. Cheap junk razors are marketed under brand names like ZeePK, and other off-names. Avoid them. Some of the best used razors are Double-Duck, Thiers-Issard, Dovo, Dorko, Genco, Wade and Butcher, etc… Stick to razors made in Germany, England, France, or the USA . Be sure the blades have no nicks in them, and minimal rust. Don’t worry about the scales so much, because they can be easily replaced. If you are a beginner, I would highly recommend sticking to new razors, like Dovo, Grim, and Bokers. exactly like any other straight razor. They never need to be stropped, the blades are very inexpensive, and they give as good a shave as most straight razors. Barbers in most states are required to use shavettes due to health ordinances. I have a Parker shavette that I use frequently, and it does a fantastic job. 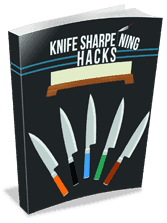 You just break the blades in half lengthwise (very easy to do, but do it while they are still wrapped in the paper…), slide the old blade out and the new one in. Easy-Peasy. Just like straight razors, there are a lot of cheap, junk shavettes flooding the markets, mostly from China. There are only three brands I would recommend. Dovo, Parker, and Feather. Of the three, Feather is unquestionably the best. Made in Japan, it is the first choice of professionals, and Feather blades are the sharpest things on the planet. The downside of the Feather is that it is the most expensive shavette, by a large margin, but well worth it. Dovo and Parker are about equal and can use Feather blades, as well as Derby, Shark, Gillette 5 O’Clock, and other high-end blades. My personal favorite for my Parker is Derby blades. What’s The Best Knife to Cut Raw Chicken?